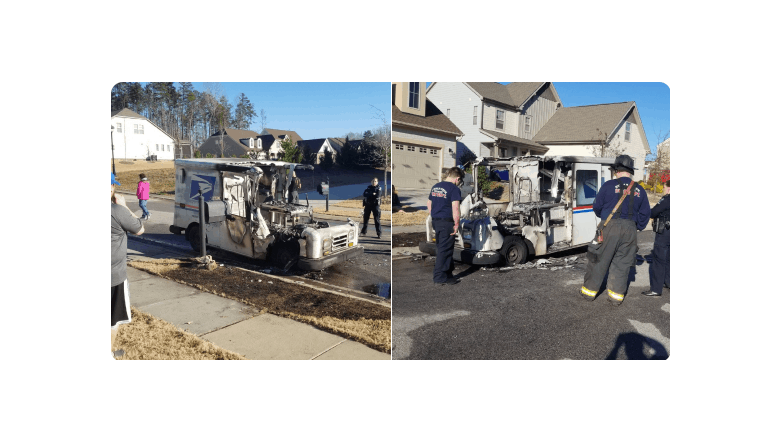 CHARLOTTE, NC (WBTV) – A US Postal truck caught fire on Saturday afternoon, resulting in destruction of the vehicle as nearly half of the frame had been consumed by the flames in a Steele Creek neighborhood in Charlotte. Eyewitness reports state that the driver was able to exit the vehicle safely and retrieve the mail that had been inside the car when the fire started. Charlotte Fire was on the scene and helped to control the blaze.